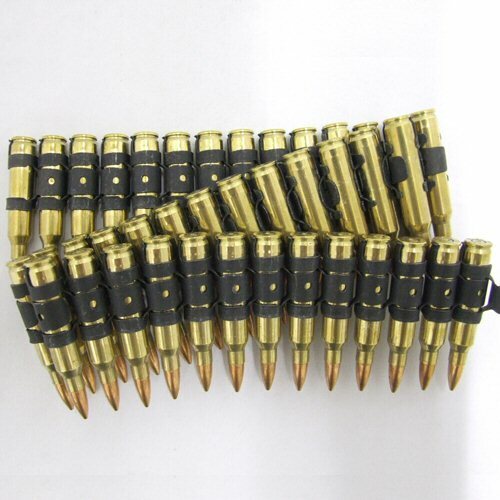 A bullet belt comprising of inert or dummy rounds in 5.56 or .223 Remington. FMJ heads correctly fitted with press and not hammered in place, so the belt has a more authentic appearance over belts where the heads have been inserted too deeply. Perfect for film, display, diorama or to add authenticity to a SAW or minimi. Can also be worn as fashion accessory. Cases are brass. Please note that all rounds have no propellant or live primers. 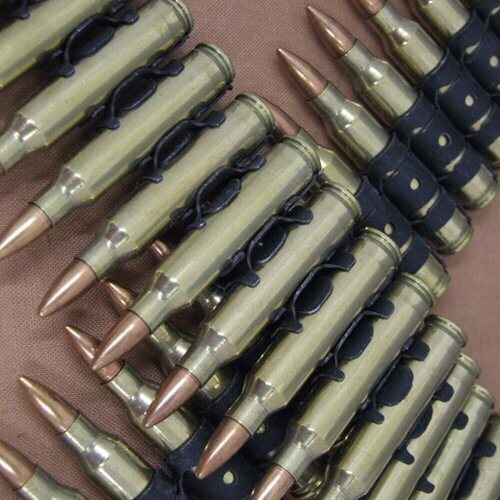 The belt is made with 40 rounds linked together with disintegrating links and is about 50cm long. 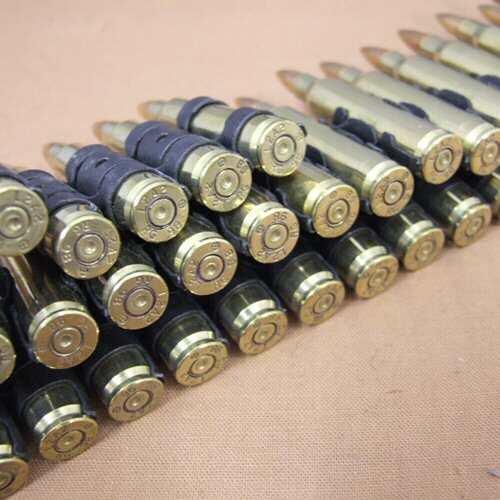 NB: All inert ammunition travelling OUTSIDE mainland UK must be shipped by international courier (eg TNT, DHL).